The 2019 NFL Draft is many months away, but it’s not too early to get a look at who the top prospects are bound to be ahead of the upcoming college football season. What stands out most about next year’s class is the number of blue-chip defensive linemen who have the potential to be game wreckers at the next level. There’s so much depth at the position, and a lot of likely instant starters. Read on to find out who to keep a close eye on this season as the 2019 draft approaches. Note: Measurements and stats courtesy of Sports Reference CFB. Some top players struggle to have a consistent motor, but that’s a quality Oliver has in spades. He’s a relentless interior pass-rusher who refuses to give up on a play and despite weighing in at 290 pounds at 6-foot-3, he looks leaner than you’d expect. 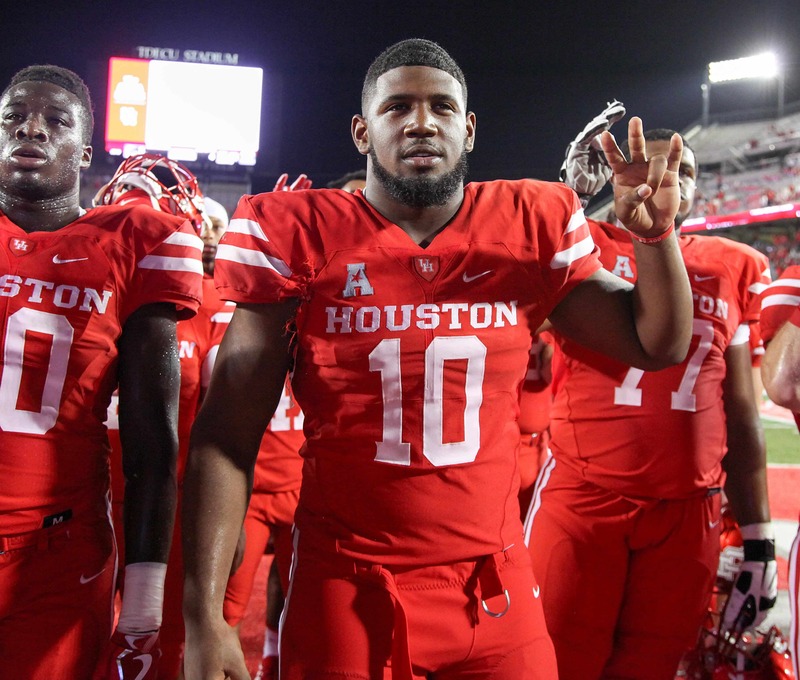 Oliver is indeed a freak of nature and already has 138 tackles (38.5 for loss), 10.5 sacks and nine pass deflections in his two years at Houston. Cougars coach Major Applewhite recently said he wants to deploy Oliver on offense as a rusher and pass-catcher, which gives an idea of the type of ability he brings to the gridiron. This young man is a prime J.J. Watt type, which is a bold comparison, but fitting once you see how special Oliver is. The brother of former Buckeyes star and Los Angeles Chargers No. 3 overall pick Joey, this younger Bosa is a beast in his own right. Per Pro Football Focus, he was second in the nation with 66 pressures last year, but he can also set the edge versus the run very well at 6-foot-4, 270 pounds. Bosa could easily be the No. 1 overall pick, since the 2019 class isn’t expected to be as loaded with quarterback prospects as the year before. The scary thing is Bosa still has room to grow as an already polished player, so he’s bound to be a tremendous force on Sundays. Yes, another man in the trenches goes third in the 2019 hierarchy as of now. Gary was 247Sports’ top overall recruit from his high school class and hasn’t disappointed since arriving in Ann Arbor, anchoring a hard-nosed defense. The rising junior had 58 tackles (11.5 for loss) and 5.5 sacks last season. At 6-foot-5 and 281 pounds, he’s like a lengthier Aaron Donald, but could stand to tack on even more functional strength to go with outstanding quickness for his size. As he stands right now, Gary would either be a great fit as a 3-technique or as a defensive end in a 3-4 alignment. Either spot should see him be highly productive at the next level. The clear top prospect at his position in this class, Brown is a cut above everyone else thanks to his NFL-ready body, which measures at 6-foot-1 and a whopping 225 pounds. He’s like a slightly shorter, slightly faster young version of Dez Bryant. Brown is a physical player who can go up and get contested balls, make tough catches over the middle and play on the outside and in the slot. Coming off a year where he had 75 receptions, 1,252 yards and 11 touchdowns, there’s room for Brown to improve his ball skills and reaffirm himself as the best receiver with a strong 2018 campaign. Seven Crimson Tide defensive linemen have been drafted the past three years, including four in the first two rounds. Davis figures to be the highest selection of all of them. The 6-foot-7, 306-pounder logged 69 tackles and 8.5 sacks in 2017, his first full season. Under head coach Nick Saban, Davis will be well-schooled and ready for the NFL, facing the best competition in the SEC as well. His pass-rushing skills are obvious in his numbers, but any improvement defending the run will only further solidify Davis as a top-10 pick. The first true nose tackle type of player on this list, Lawrence tips the scales at 340 pounds and is 6-foot-4 but has incredibly quick feet and athleticism for his size. Lawrence’s sack number dipped from 6.5 as a true freshman to 2.5 this past year, but his impact shows up more in the running game, where he commands double teams and plugs rushing lanes on the inside. It’s still possible Lawrence could shed some weight and slightly better his conditioning to transform into a three-down NFL player. Don’t be fooled by Lock’s 57.8 percent completion rate as a junior. It’s not indicative of his true accuracy. 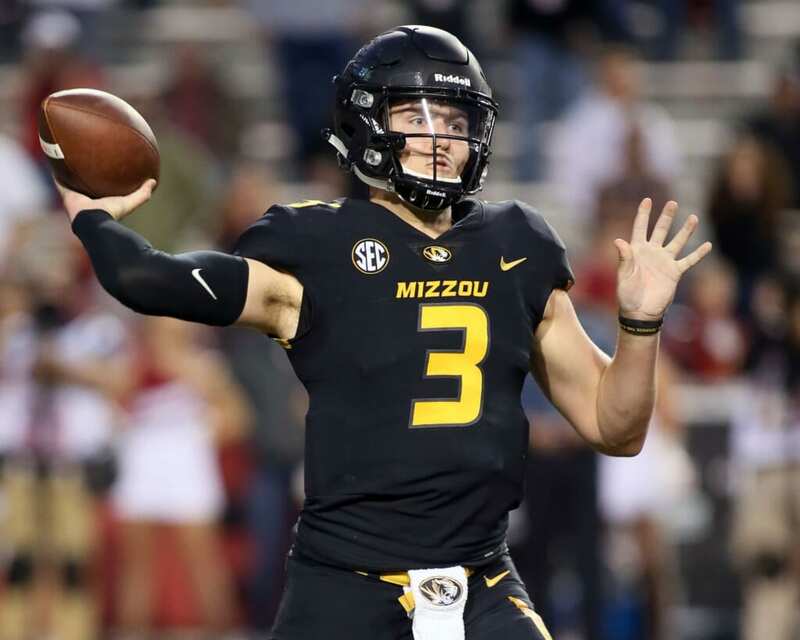 The Tigers took a lot of downfield shots, and Lock ranked third with 1,493 passing yards on deep passes last year, per PFF. Despite the sub-60 completion percentage, Lock still averaged 9.5 yards per attempt and threw 44 touchdowns. On a 7-6 team that put up the third-most points in the SEC. With ideal physical tools and plenty of starting experience, the 6-foot-4, 225-pound passer is an NFL prototype. Joining his teammate Lawrence in the top 10, Ferrell could have left after last season — and been drafted in the first round — but opted to come back to Clemson. Another year of development probably won’t hurt Ferrell, nor will a likely return to the College Football Playoff. Over the prior two seasons, Ferrell has 30.5 tackles for loss and 15.5 sacks. He’s a ball magnet with a wide frame and is a terror off the edge with great speed and instincts that will serve him well when he does go pro. The race for top cornerback is close between Williams and a soon-to-be-revealed other, but the Tigers have a history of producing top defensive backs, so Greedy gets the nod here. Williams made the most of his chances on the ball last season, racking up six interceptions as a redshirt freshman and knocking away another 10 passes. He’s a wiry 6-foot-2 athlete who just needs a little more bulk to go with uncanny ball skills and coverage instincts. Finley will soon be a fifth-year senior and didn’t put up monster numbers in either of his prior two seasons as the Wolfpack starter (35 touchdown passes) compared to Lock. However, he is an efficient distributor with a high football IQ who completed 65.1 percent of his passes in 2017. A quick, compact release, fine footwork, good pocket presence and precise passing are strengths that make the 6-foot-4 Finley a polished player who should compete for a starting spot upon his NFL arrival. More proven than Williams in terms of experience, Baker was a menace to opposing offenses in 2017. Per Pro Football Focus, SEC quarterbacks had a 38.7 passer rating when targeting him last season. Baker implied he “probably” would’ve gone to the NFL this year if the Bulldogs hadn’t lost the national title game to Alabama. If he can help Georgia to a championship this time around, he may be the No. 1 cornerback prospect after all. Talent evaluators have to be excited about Williams, who as a true freshman started at right tackle before transitioning to left tackle last season. What’s perhaps most intriguing about the youngster, though, is the work ethic he has to go with his immense talent. You don’t often hear “film junkie” associated with first-year players in college, but that’s part of Williams’ reputation. It’s no wonder he has already refined his technique enough to thrive at both tackle spots. Williams should be a Week 1 NFL starter at either spot as a result. 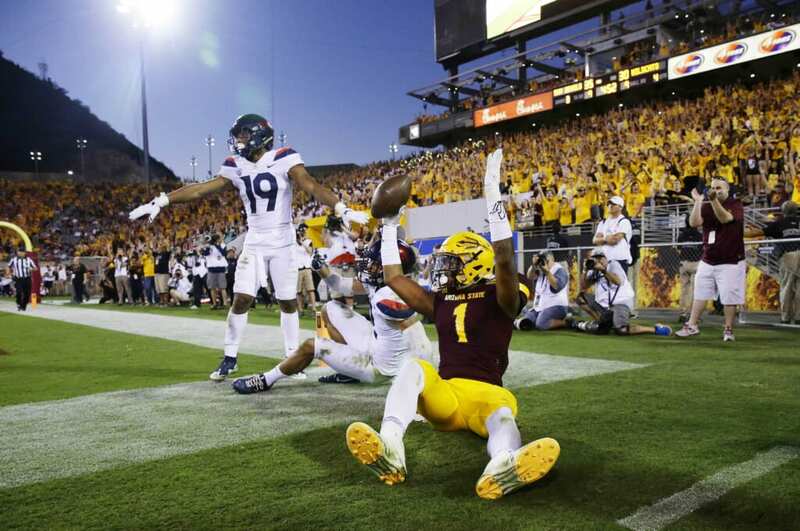 The 6’4′ wideout has a huge catch radius and tracks the deep ball as well as any receiver in college football. Harry hauled in 82 receptions for 1,142 yards and eight scores a season ago, so he has production to go with his ideal physical tools. With 16 career carries for 134 yards and two scores, Harry has the vision of a ball-carrier in the open field and is lethal after the catch. If he can refine his route-running and put together another productive season, there’s a chance Harry eclipses Brown as the top 2019 receiver prospect. A broken collarbone limited Herbert to eight games last season, but he’s had the look of a first-round NFL quarterback since he first took the field in Eugene in 2016. Herbert put up a school-record 512 yards of offense against Arizona State as a true frosh. For how tall he is, Herbert runs extremely well, so his mobility can get him out of trouble. However, he sometimes misses open receivers and bails from the pocket unnecessarily. If he can improve his field vision, he has as much upside as any quarterback in the 2019 class. Herbert may need a redshirt year on NFL sidelines before taking over as a starter. The true junior is entering his second season as a full-time starter, primed to show he belongs in the conversation among the country’s elite linemen. He was highly productive in 2017 with 57 total tackles and nine for loss. Brown is on ESPN draft guru Mel Kiper Jr.’s radar as a “rare, rare talent” and the standout on an excellent Tigers defensive line. As long as he lives up to that hype, Brown should easily fit into the top half of the first round. Even before he played a down for the Tigers, White logged a 4.49-second 40-yard dash. At 6-foot-1 and 248 pounds, he has incredible speed for that size — and shows mind-boggling explosiveness when he blitzes from the inside. White led the SEC with 133 tackles in 2017. He has a skill set similar to that of Seattle Seahawks All-Pro Bobby Wagner and former LSU star and current Atlanta Falcons standout Deion Jones. The difference is White won’t be drafted in the second round as those two studs were. He’ll hear his name called on Day 1 next year if he comes out. 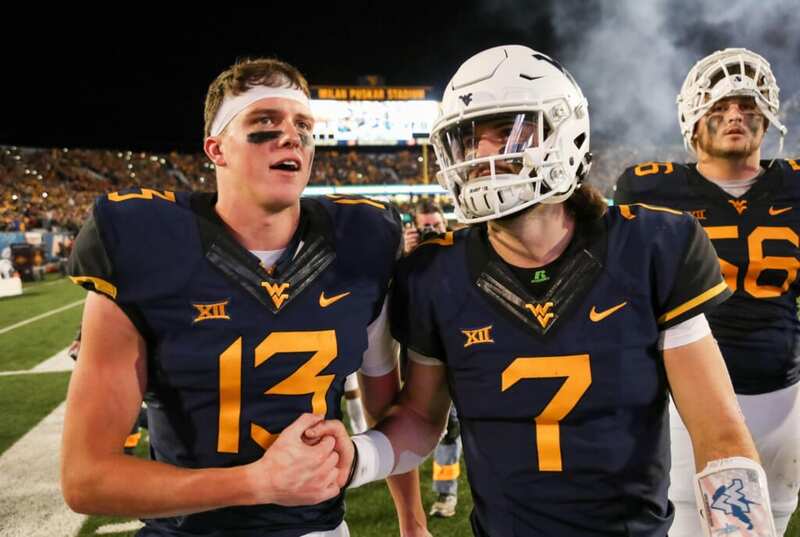 The converted quarterback will have the benefit of catching balls once again from a potential first-rounder in Will Grier this season, which should only boost both their NFL stocks. Sills had 980 yards receiving on only 60 receptions with a ridiculous 18 touchdowns during the 2017 campaign. He’s a lethal red-zone threat at 6-foot-3 but only had a 58 percent catch rate on 103 targets this past year, per PFF. That means Sills could be in for an even bigger 2018 season. The 6-foot-6, 325-pound mauler can be a tenacious run-blocker but is also solid in pass protection, making him an ideal left tackle at the professional level who’s also capable of playing on the right side. If there’s one hole to poke in Little’s game it’s that his effort is inconsistent. He has all the traits of a franchise player, but just has to work on doing it every play. If he focuses on refining his craft in 2018, there’s little doubt Little can rise further up draft boards. Before this year’s spring practices, Allen went from 230 to 252 pounds, which was important to do as he projects as a 3-4 edge-rusher in the NFL. He has two straight seasons of seven sacks for the Wildcats, so the added strength will only help. Allen isn’t just a pass-rushing specialist — he’s got a nose for the ball against the run too. The former 2-star recruit has a perpetual chip on his shoulder that should only drive him to improve and ultimately become a productive NFL player. Looking for a Rob Gronkowski clone? Fant may not quite live up to that billing — he does wear the same No. 87 — but he’s the closest player to such status in the 2019 class. The Hawkeyes star led the Big Ten with 11 touchdown receptions last season, and is not the reluctant blocker most predominantly pass-catching tight ends are. Fant isn’t afraid to mix it up and deliver a crushing blow. That willingness to block will only help Fant’s chances of seeing the field right away on Sundays. Due to his position, the 20-year-old will likely go later in the first round and become an X-factor for a borderline championship contender.